BBQ! 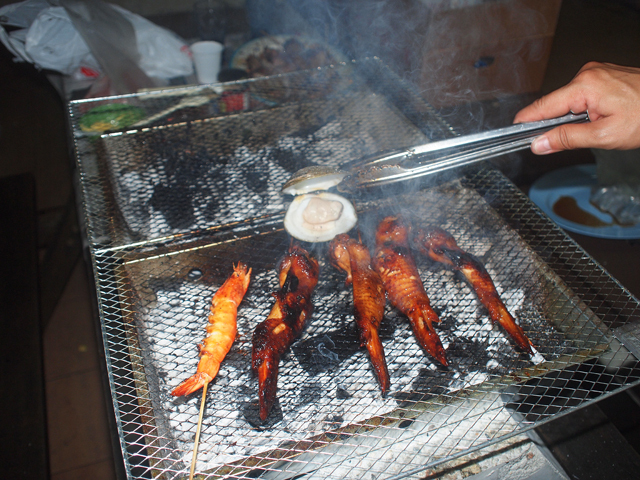 That's the best thing I love about going to chalets ^^ The prawn and spicy sotong very yummy! 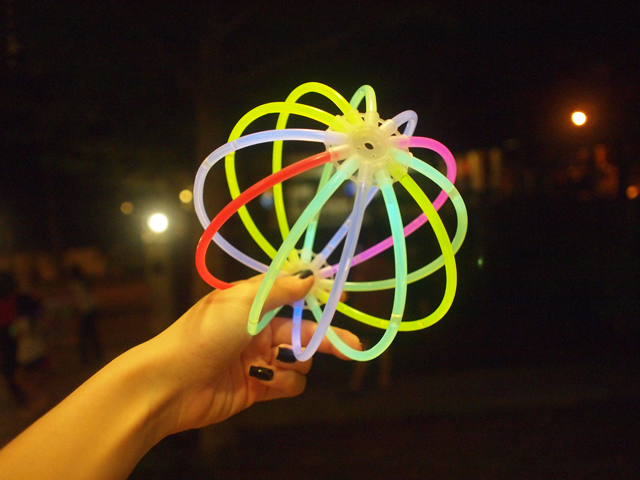 Lots of glow sticks for the children to play with. And also these 'crackers'! 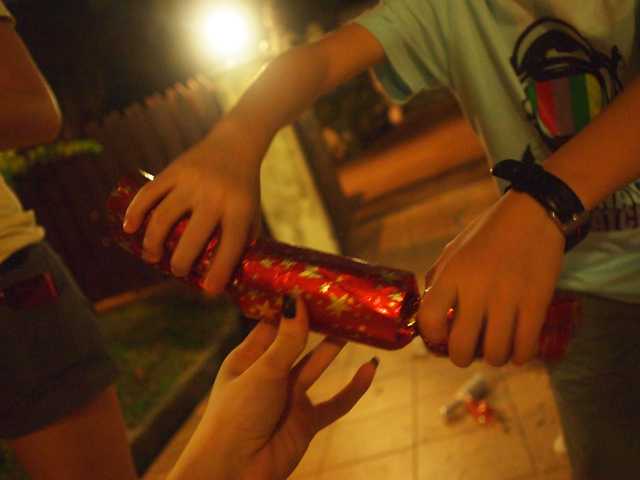 Twist it, then there will be a pop sound and then some paper and a toy will burst out! 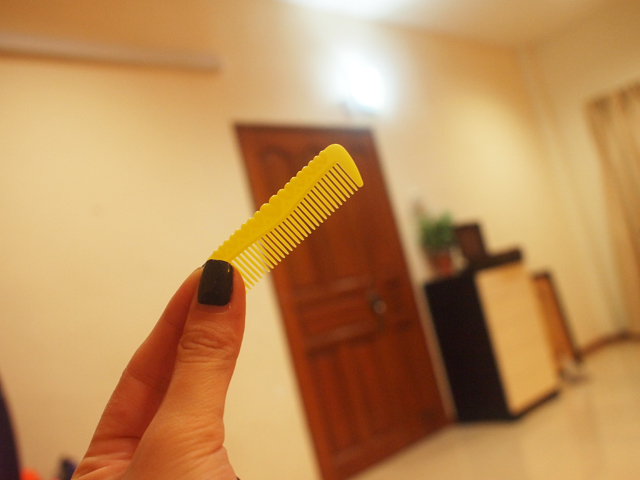 I joined in the fun with the children and mine is a mini comb! Hehe. So suitable for me ^^ The rest got plastic turtles, dinosaurs, etc. And a purple paper crown! It was entertaining watching the kids bbq food. Twice, I refused to accept the hotdog they bbq, because it still look raw. I said "没有chao-tar我不要吃" (I wont eat it until it got at least some chaotar). Then a few minutes after she put the hotdog back, the fire suddenly became super big and my hotdog was finally chaotar-ed. Lol. They were also super cute lah! 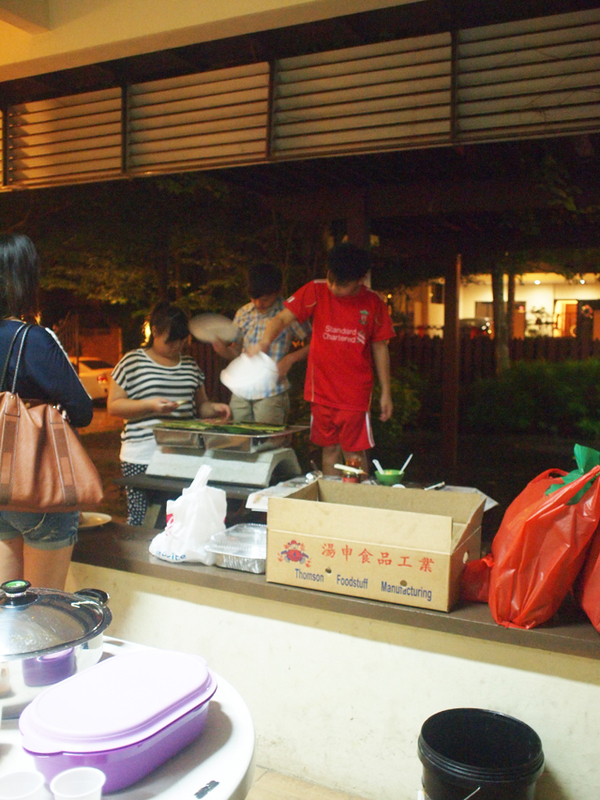 The two boys were fanning the bbq, then suddenly both of them fanned their own faces, together!! Haha. Then one of the boys said that he was very hot, so the girl went inside the house to pull an electric fan out. The wire extended only till the sliding door, which was a few metres away from the bbq pit. 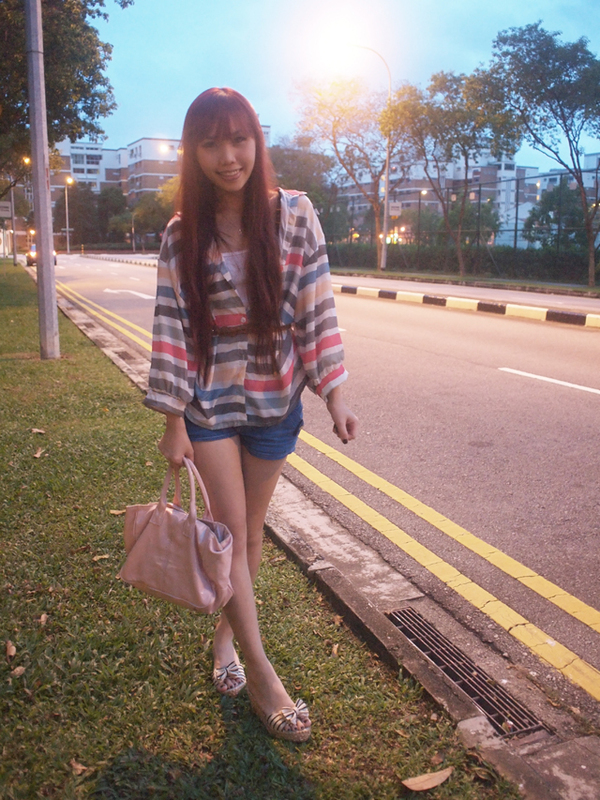 In mandarin, I mentioned, like that can feel the wind meh. The girl answered "不要紧啦，他看到风扇就开心了" (nevermind lah, he can see the fan he happy already). I laughed like mad because of the way she said it. 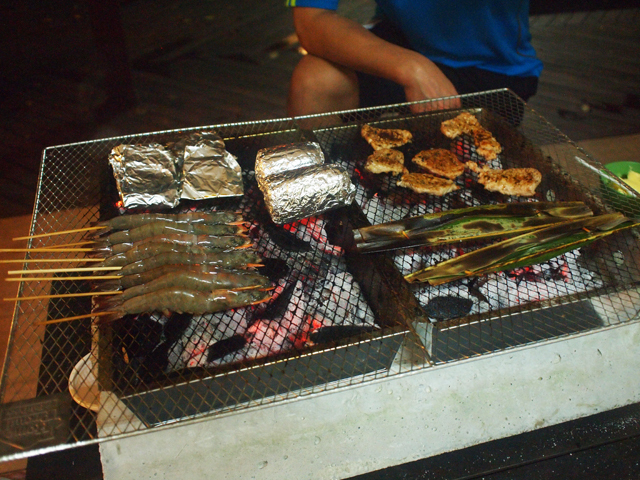 Then when the boys fanned the bbq pit too vigorously and too close to the girl's face, the girl retorted "eh我的脸还要的leh! " (eh! my face still want de leh!)... Hahaha. Went upstairs and played with their toys. 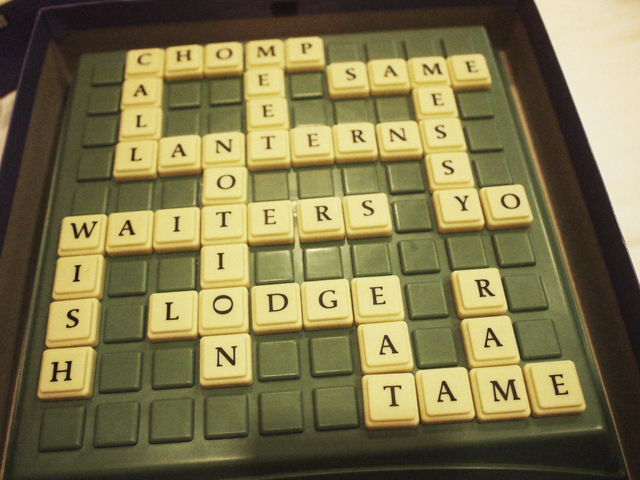 The alphabets were scattered around the bed, so I chose a few tiles for myself. I took A, T, E, L, N, S, N and R randomly because they are good alphabets that can be used for a lot of words. End up I finished all the tiles on my rack on the first spell! - Lanterns. Haha. 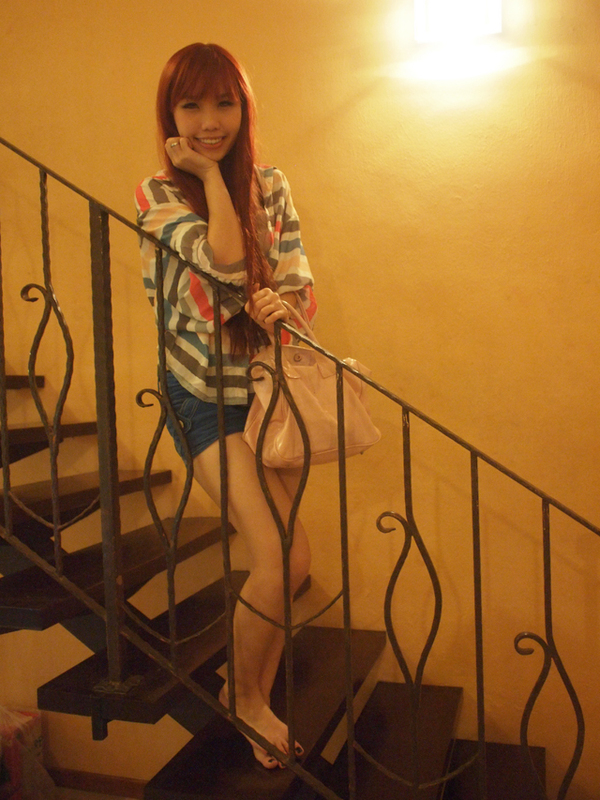 The wooden swing in the garden was fun ^^ But scary if nobody is around haha.